Roofing season is a crazy, frantic time. Dealing with insurance companies, while trying to get to more potential clients before your competition is hard enough. RoofScopeX is designed to help you jumpstart projects and secure more jobs, quicker and with confidence. How to expedite the entire process and close more business! 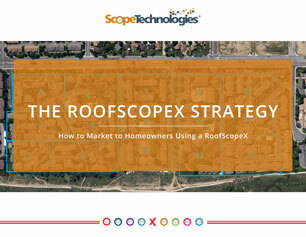 How often do you use RoofScopeX and/or RoofScope reports? What tools do you currenty use for your roofing projects?